In a day and age of going through numerous evolutions, interior design included, modern and classic tend to blend to create personalized spaces. A perfect example of this marvelous mixture is represented by modern homes with antique fireplaces. Everyone has a definition of modern and of classic, but a modern home is any contemporary home and classic is definitely something that never loses beauty and prevails in the face of time with elegance. There are many works of art which transcended the test of time to become eternal classics and vintage fire mantels are no exception. 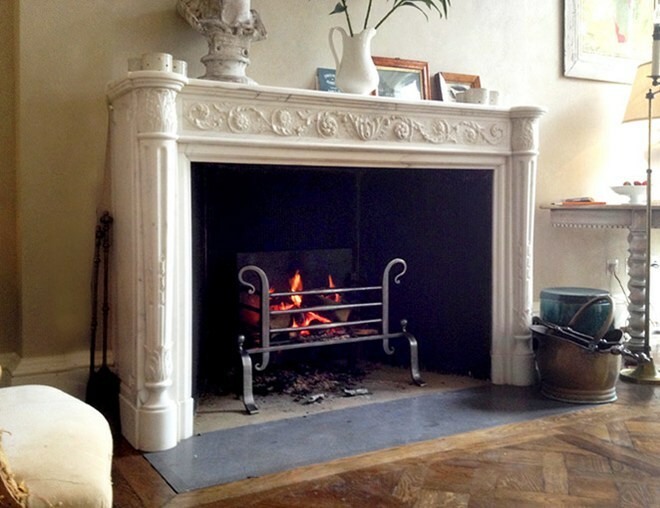 Statement of various époques, the selection of antique and reproduction fireplaces from the Thornhill Galleries are a suitable choice for bringing classic in modern homes. With mantel pieces crafted from wood, stone, marble and iron, this collection has something to offer to any home owner. No matter the size, the shape or the colour of the room you want place the hearth in, at Thornhill you will discover the perfect antique fireplace mantel for it. As I mentioned, you can find a vintage fireplace from the Gothic, Renaissance, Baroque or Georgian époque, or how about a Louis XIX, Louis XV or Louis XVI? You can even chose an antique fireplace crafted in the Victorian style or the French Art Nuveau. The possibilities are as various as the designs and the carvings of each of the Thornhill Galleries fireplaces. Here, you can acquire an original mantel belonging to a certain period or arrange for a reproduction fireplace to be crafted for you and your home. Whichever your option, you will not be disappointed. None of the vintage pieces lack elegance and timelessness. And these qualities will be added to your interior design’s beauty. Classic with always be in trend, regardless of the new, something with style and elegance will never lose its beauty. And the best part is, there are so many classic trends out there which can be used to create a personalized and charming home. When it comes to interior design, styles can be mixed and matched to create a new visual perspective. The same way a classic painting will always have grace, an antique fireplace will always has charm. And a beautifully carved vintage mantel piece is a work of art in itself. It is a representation of the architecture styles of its time. The grace and sublimity put to work to create such a masterpiece prevent it to ever fall out of style. That is why, a modern home with an antique fireplace will forever be a trend.